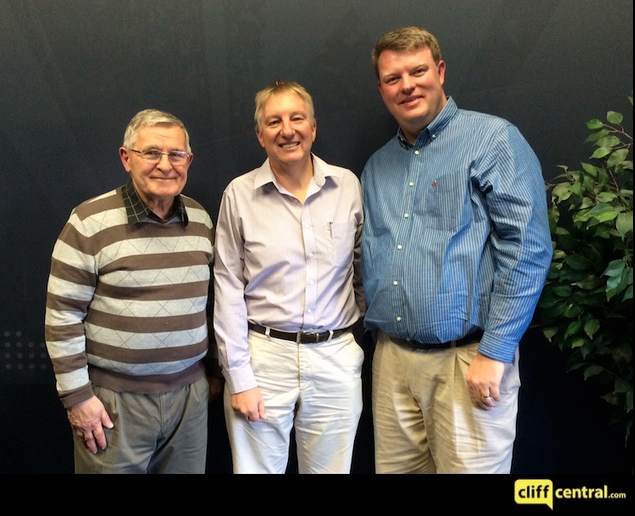 On CliffCentral radio’s Leadership Platform programme last week, we chatted to Steve Giddings, managing director of Frontier Corporation about the notion of competition. Giddings, who is also a global business consultant, said that many companies take an overly narrow view of what it means to compete. “A lot of entrepreneurs simply look at one aspect of their competitors,” said Giddings. “When they do a competitor analysis, they’re looking at things like price.” Dozens of Giddings’s clients claim to be competitive, he said. “When I ask them, well how are you competing? They say ‘I’m cheaper than my competitor.’” But their views were often misguided and too simplistic. “Price is not always the competitive edge,” he said. Recognising that there are many ways to compete means taking a holistic view about gearing up your company to do so. This often begins with putting the management in place that can help you realise new ways to get ahead. It might mean hiring experts with insight into your field of work. And for SMMEs, it often means hiring a financial expert such as a part time financial director. Here are a few ways that bringing in a part time financial director can boost your competitiveness. A great part time financial director helps iron out inefficiencies in the company. They help you streamline your cash flow and make sure you’re using and investing your income in the wisest way possible. The upshot of this is a company that’s better able to deliver great service to its clients. A part time financial director has the strategic insight to help your company plan to scale. She can help you plan for how much capital you will need, how much you’ll need to add to your salary bill, and the right time to start accelerating. If you and your competitors are a similar size, then your ability to grow sustainably will give you a distinct advantage over others in your space. A part time financial director will help you know whether you should order 10 000 of the latest stock items while they’re on discount, or to start with a batch of 500 instead. They’ll help you know whether to spend all your money on diversifying or whether opening up a new branch might give you better returns instead. As companies take a more sophisticated view of competition, they will be better able to weather environmental changes and compete more sustainably. The environment and technologies are changing around both you and your competitors. Your competitors will respond by morphing and changing very rapidly themselves. Having a part time financial director on your team will help you predict and plan for changes in the environment and respond better and more quickly than they do. Sometimes getting a competitive edge is not as much about the top line as it is about the elements on the side of the business. If your industry is under pressure and the margins in your business are fine, having top-notch management expertise in your company and bringing in a part time financial director to optimise your efforts could well be the thing that helps your business prosper in the long-term. To get hold of a top tier finance executive who can provide you with the leadership you need, contact The Finance Team. Our associates are available on a part time or interim basis, according to the needs of your company. To listen to the podcast of the show click here.